In case you order a deal of two or more of our services, we will award you with very attractive discounts. This will help you save effort, money and energy throughout the intense process of moving out. If you require support moving out and making sure that you could get your lease deposit back in 100 %, do not think twice to reserve our professional end of tenancy cleaning service or a combination of the services we offer. We've been providing the domestic and business residents of Homerton E9 with a expert end of tenancy service since 2005. Excellent Carpet Cleaning is recognised as a major and top recommended end of lease cleaning company by a developing number of satisfied clients in the location. Through the many years, we have developed a specific tenancy cleaning checklist, that could be approved by a multitude of estate agencies, landlords and property managers, based on their own needs and control of the results of the cleaning at the end of your tenancy that they do before giving their bond back to you. The move out cleaning service is ideal for: tenants, landlords, agencies, as well as for people who are purchasing or offering a property in the area. To book us for carrying out the cleaning when relocating, you must first make certain that your personal items will be moved out before you start. In case you have issues with the moving out procedure, our company additionally provides expert packing and man and van services to support you move. The perfectly-equipped and prepared cleaning staff will come to your property and will use all tools and options needed to thoroughly clean the complete property in accordance to the specific tenancy cleaning register. The service is simply not limited in time frame, so the cleaners will keep cleaning until every single process is checked off. The cleaning includes top to bottom cleaning of almost all areas, steps, hallways, the kitchen and the bathroom. It can contain exterior cleaning also. The booking procedure is effortless and fast. Get in touch with 020 3404 0500 or make use of the online reserving request form here. We are accessible 24/7 and will process it inside the next 2 hours. No advance payment is needed. The rate is fixed, and there are no hidden fees. Our regular clients, estate companies and property owners receive useful costs. 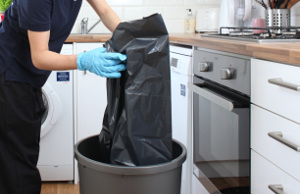 We give a 48 hour customer assure, so if you want to be specific that you get your tenancy deposit back in 100%, make sure to allow us to do the relocating cleaning for you personally!